IF YOU HAVEN'T MADE IT A POINT TO VISIT BELLE ISLE THIS FALL, I'M URGING YOU TO GO! Belle Isle Aquarium is America’s oldest aquarium, opening in 1904. The Belle Isle Aquarium is open Friday-Sunday from 10am-4pm. It is completely free to the public, while they do encourage donations upon entrance. It is America’s oldest operating aquarium, opening in 1904. 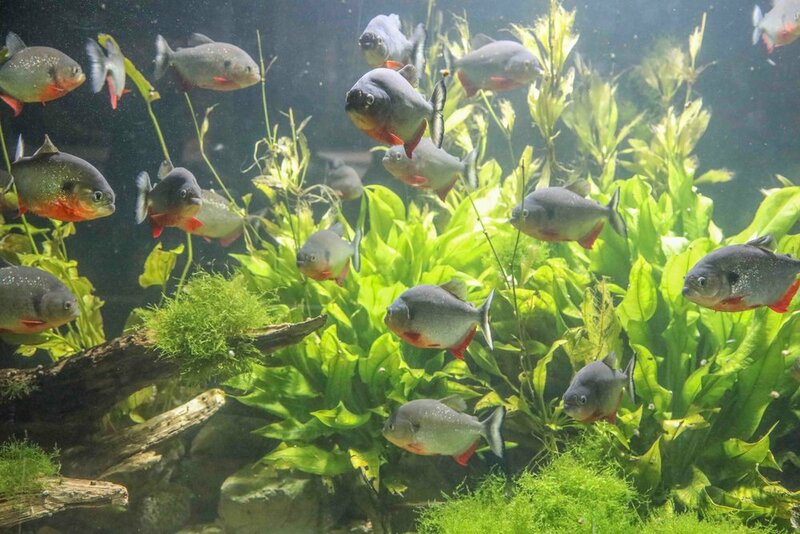 Inside the Aquarium you’ll find tanks lining each wall, with array of fish, aquatic reptiles, and underwater species. The tanks and exhibits also provide written education on The Great Lakes ecosystem including native and invasive species. While the fish make for a great attraction, the building itself is a sight to see all on it’s own. Designed by the famous Albert Kahn, the exterior features a intricate stone work including a carved face of Neptune, the Roman god of freshwater and the sea. Inside, the ceiling is covered with spectacular jade green tiles that enhance the aquatic feel of the building. You could spend an hour admiring the details of the attraction, but as a guide, you’ll be in and out in around 20 minutes. The Red Breasted Piranha is native to the Amazon Rivers of South America. Belle Isle Aquarium exhibits are seven of the Gar, or garpike, species. Right next door to the Aquarium, you’ll find the Conservatory, where countless species of plants are housed in a huge, glass-domed greenhouse. The Conservatory is segmented into rooms: the Palm house, the Tropical house, the Cactus house & Fernery, and the Show house. In each segment, you will find a different grouping of plants. The Conservatory also features a lily pond with Japanese koi, which is a popular attraction in warmer months. The koi are very social and fun to watch. Every winter, the koi are brought to the basement of the facility where they are maintained until the spring. The Conservatory is open Wednesday to Sunday from 10am-5pm. The grounds of The Anna Scripps Whitcomb Conservatory. 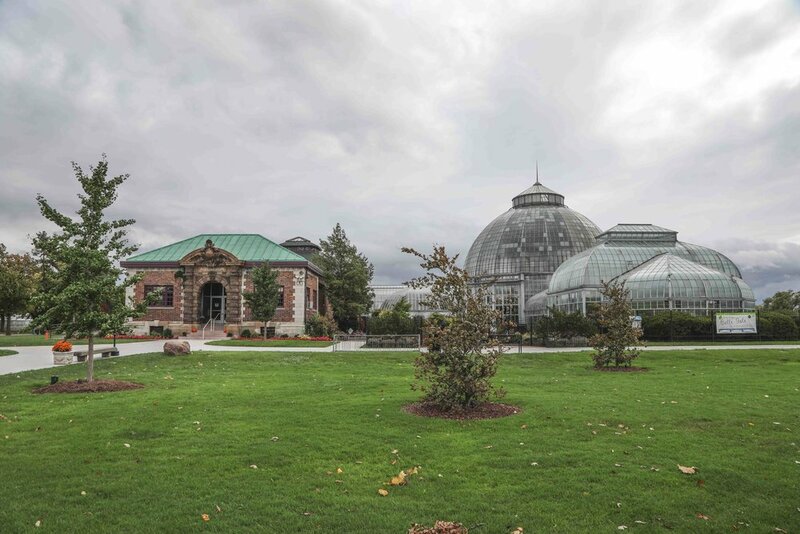 Check out Belle Isle’s website HERE for more information on the Aquarium, Conservatory, and happenings at the park! A Few Beers and a Year Later Eastern Market Brewing Co. is OFFICIALLY OPEN!